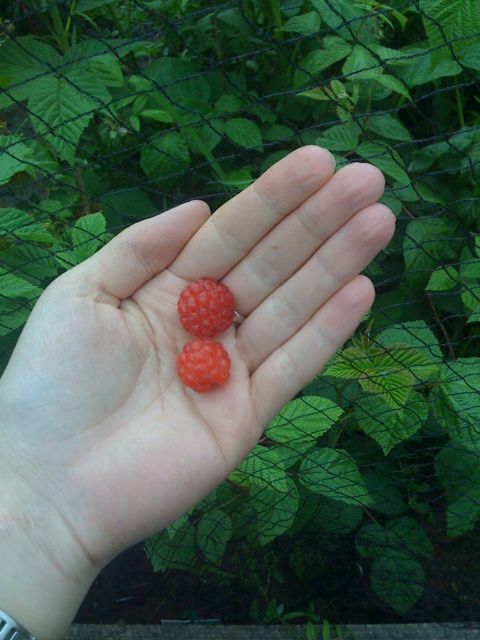 Behold the first raspberry of the season!! It was actually a double one but it broke in half when I plucked it off the stem. I ate it straight away, and savoured the tart raspberry-ness for the first time since planting my garden in august. This entry was posted on December 13, 2008 at 5:45 pm and is filed under gardening, iphone posts, veggie patch. You can follow any responses to this entry through the RSS 2.0 feed. You can leave a response, or trackback from your own site.